Tom completed a degree in European Business Studies in 1994. In 2000 he began his Legal recruitment career and has been assisting clients with their in-house legal recruitment needs ever since. For the first four years of his recruitment career, he was based in London before moving to Yorkshire in 2004. Tom now has over 10 years of experience in working with companies across Yorkshire and the North East. 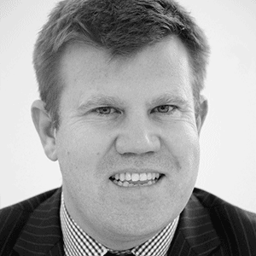 He has assisted clients including: 2 Sisters Food Group, Arriva, Aviva, BUPA Care Services, Call Credit, Carlsberg, DHL, Drax Power, Mamas & Papas, Newcastle Building Society, Poundworld, SAGE, UK Asset Resolution, Westcot Credit Services and Yorkshire Building Society. Tom is an incredibly positive individual who matches his candidate lawyers and clients exceptionally well – leading to long term placements. Tom and the in-house team are committed to helping develop the sector and the legal professionals who work within it. As part of this commitment, Tom and the team regularly run CPD accredited training courses in conjunction with a range of Yorkshire and Newcastle based leading law firms. The courses range from legal updates to ‘softer skill’ developmental programmes. In the past ten years BCL Legal has become one of the leading legal recruitment consultancies and in that time the in-house team has placed over 1500 legal and compliance professionals in-house. Legal staff – delivered to you for free!